This Saturday was a gallery day for us. 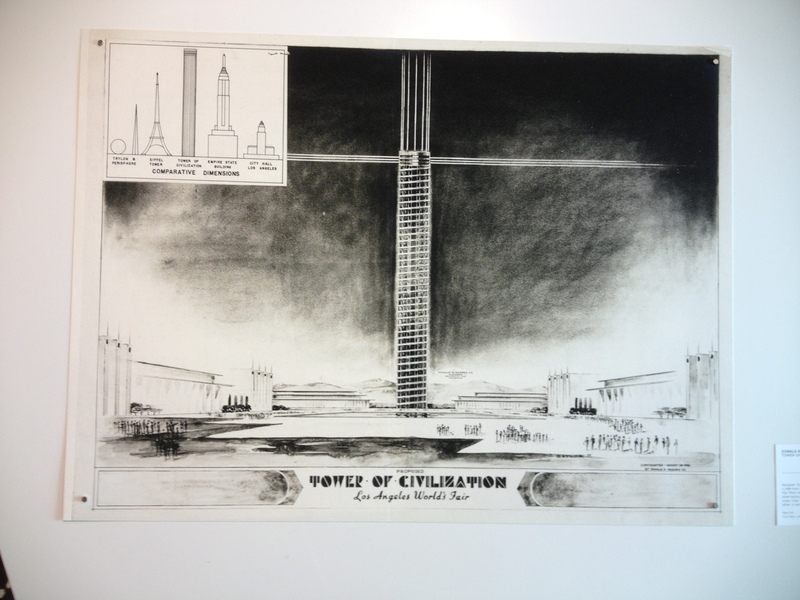 We went to A+D to see the “Never Built: Los Angeles” exhibit. This is a show of models, drawing, and other materials from projects that were proposed, but were never built. The projects on display covered a full range from things that might have been pretty useful to things that were clearly absurd. 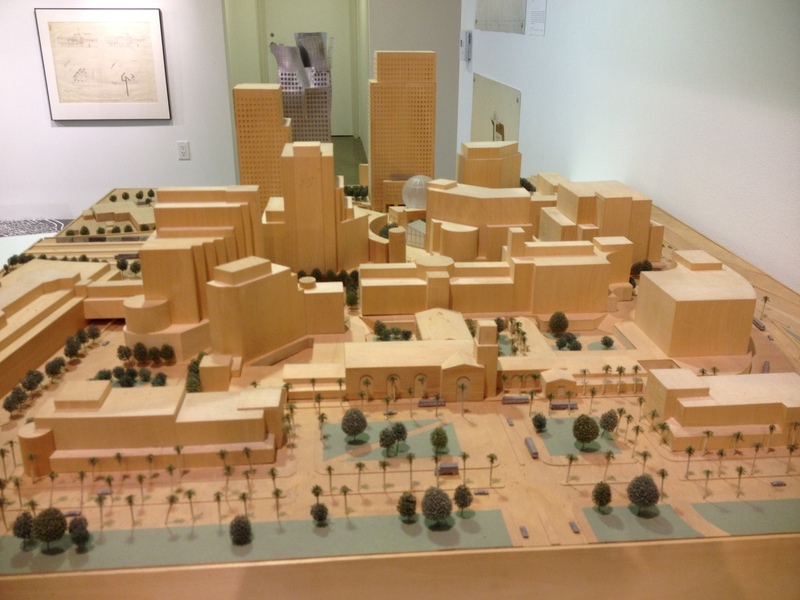 For instance, the model showing proposed development behind Union Station was perhaps a bit grandiose, but it really wasn’t absurd. 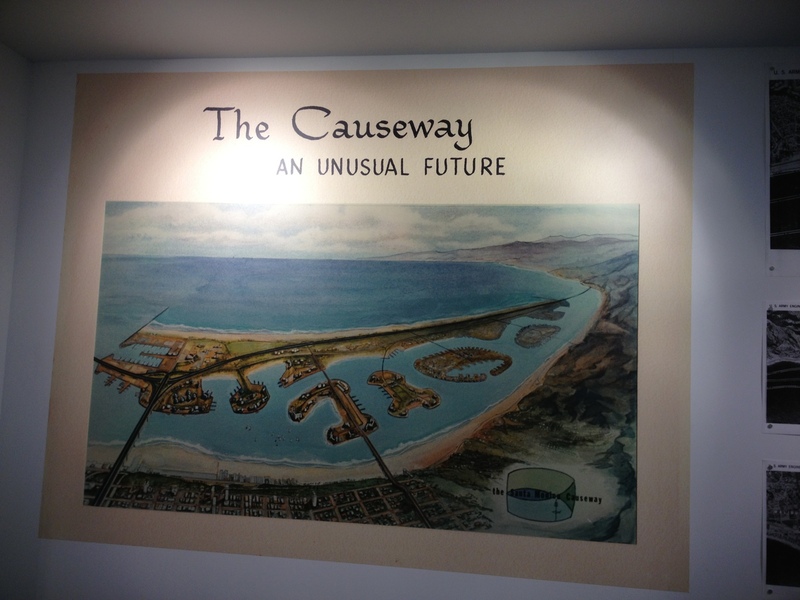 By comparison, the proposal for an offshore causeway freeway from Santa Monica to Malibu was perhaps the most absurd idea floated there. Most of the others fell somewhere in between. 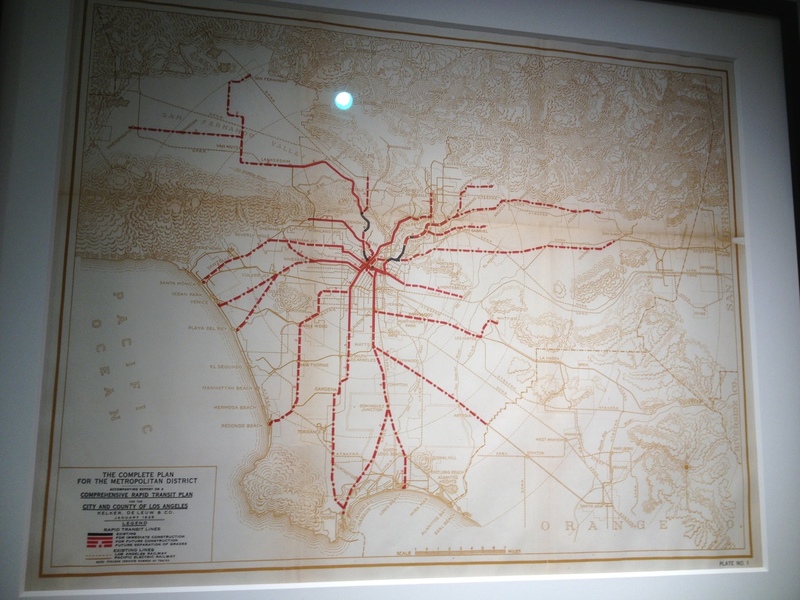 There was a map of the original plan for the freeway system, of which about one-half has been built. 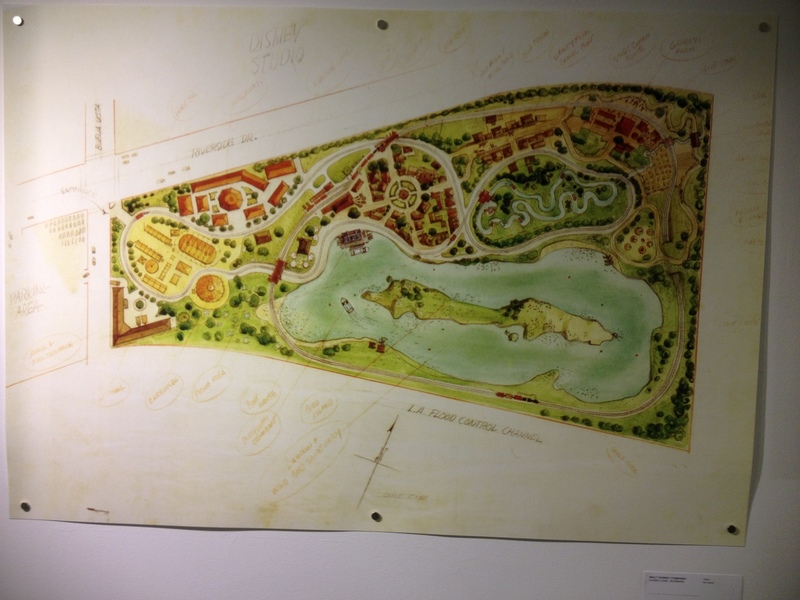 There was also a drawing showing Disney’s original plan for Disneyland in Burbank. They said it never made if off the drawing board because the city of Burbank thought it would have too much of a ‘carnival atmosphere’ and not be a good thing for the city. So Disneyland ended up in Anaheim. All told, this was an interesting exhibit. 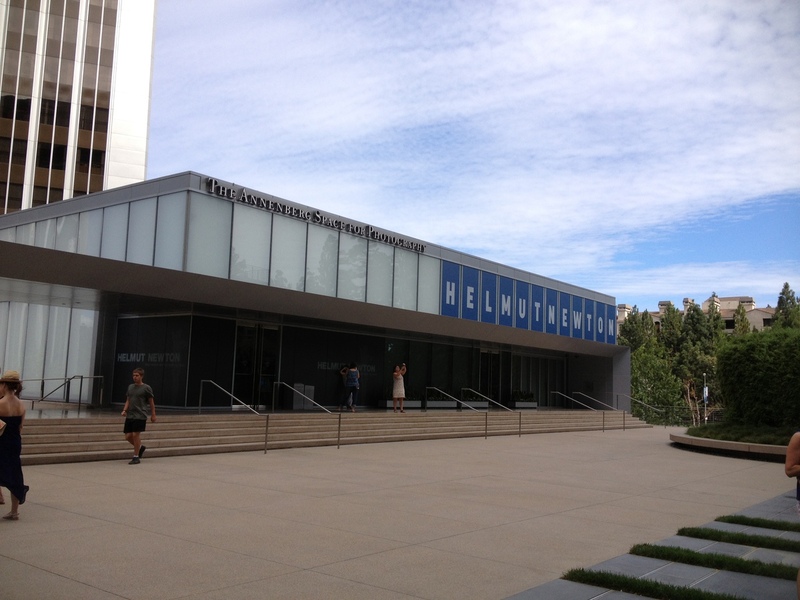 After “Never Built”, we headed west to the Annenbery Space for Photography in Century City. 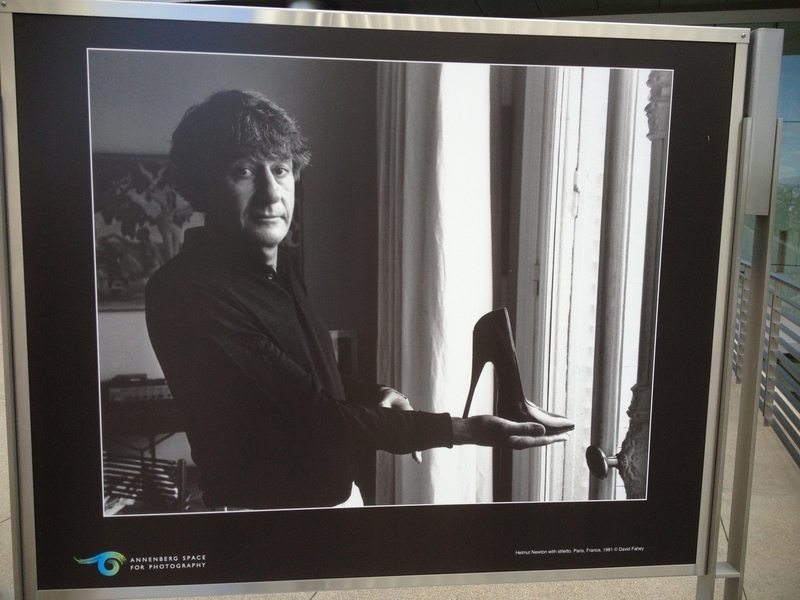 The exhibit there is “Helmut Newton: White Women – Sleepless Nights – Big Nudes”, which presented a selection of his photography over the years, along with a short documentary film about his life. His style was very distinctive, and has influenced a whole generation of photographers. This all made for a fun afternoon.